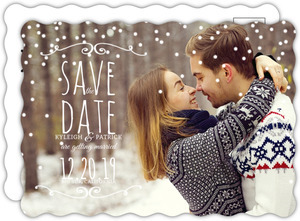 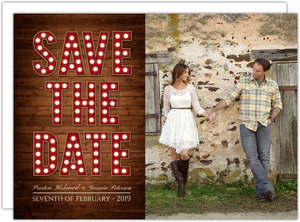 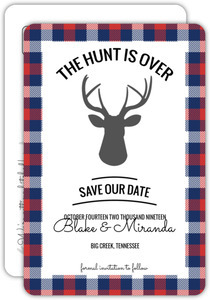 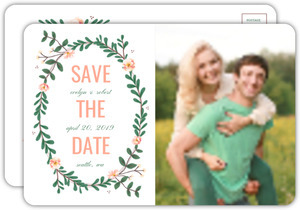 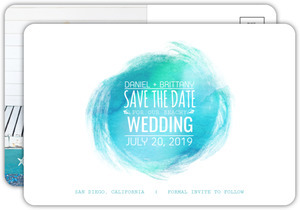 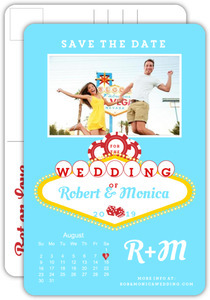 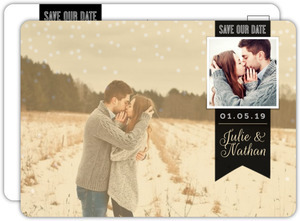 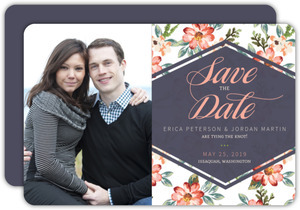 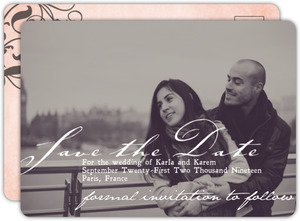 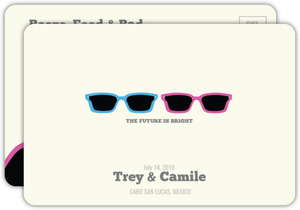 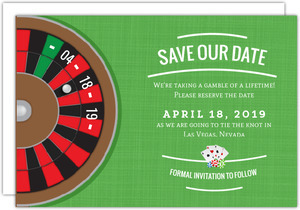 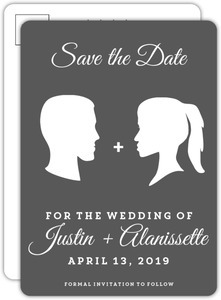 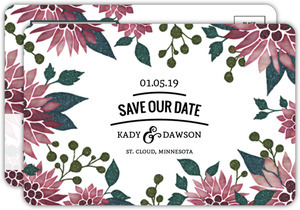 Save the Date postcards are the most convenient option for many couples. 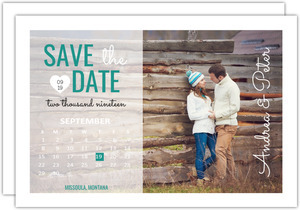 So long as you order the right size, you don't need an envelope to send these and you can save yourself some postage. 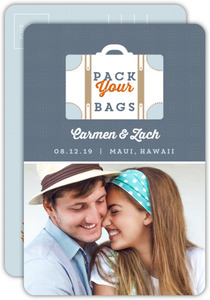 Just be careful of the card size, as the post office only allows Postcard postage on cards 6 x 4 and smaller. 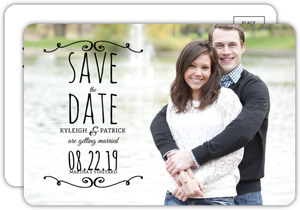 People like this look on bigger cards too and will opt for envelopes, just be sure you know what you're after. 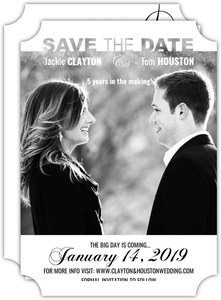 If you have any question about this, feel free to reach out to us, or check USPS's website for the exact details. 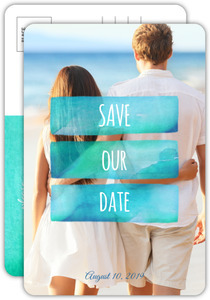 Your Save the Date postcards will go off without a hitch, and you might even save some dough.